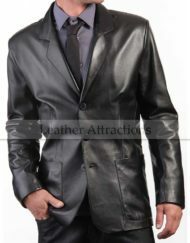 Long sleeves with non-functioning buttons at cuffs. 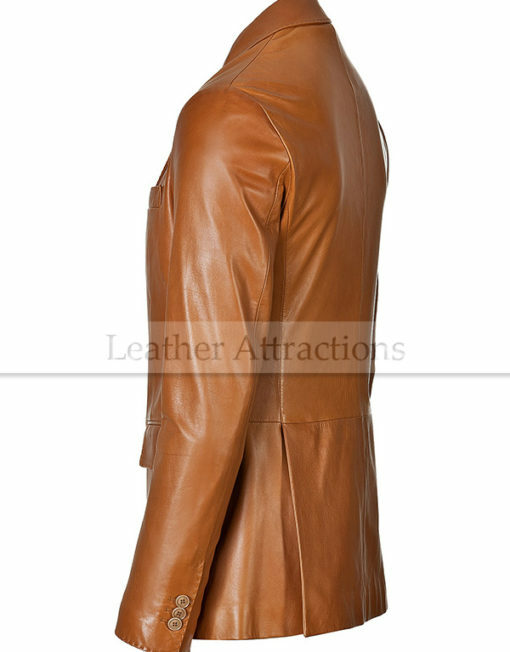 One welt pocket at chest, two flaps pockets at front. 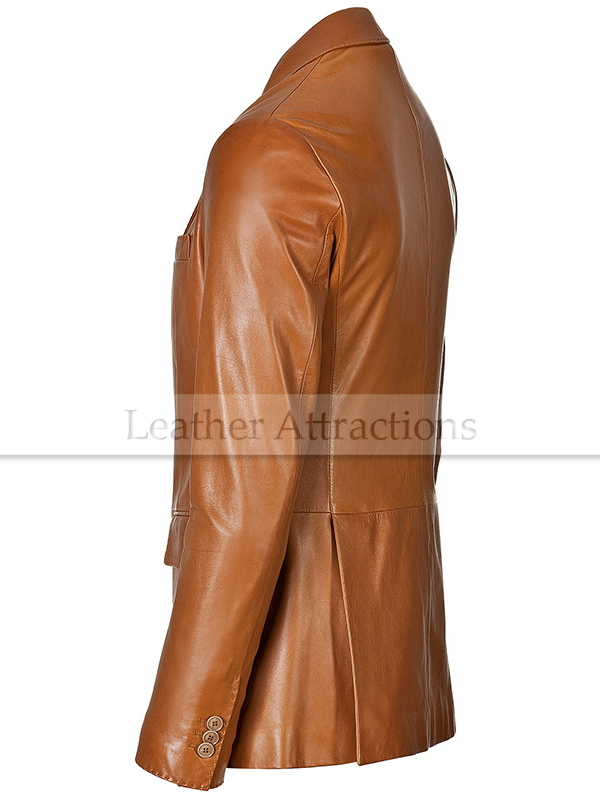 two interior pockets, with 1 cell phone pocket. 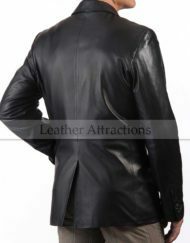 Double vent at back, fully lined. 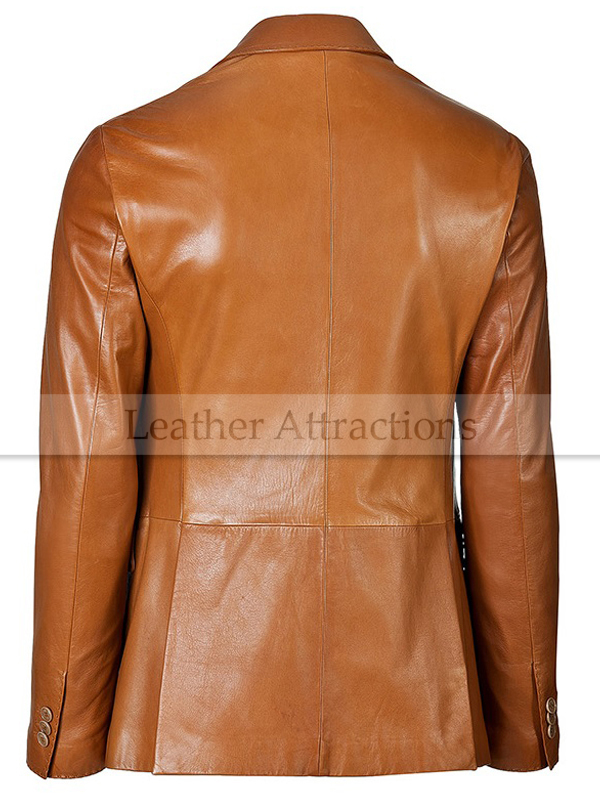 Made with ultra-soft lambskin leather. 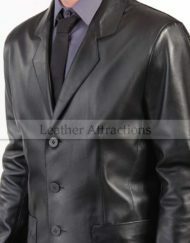 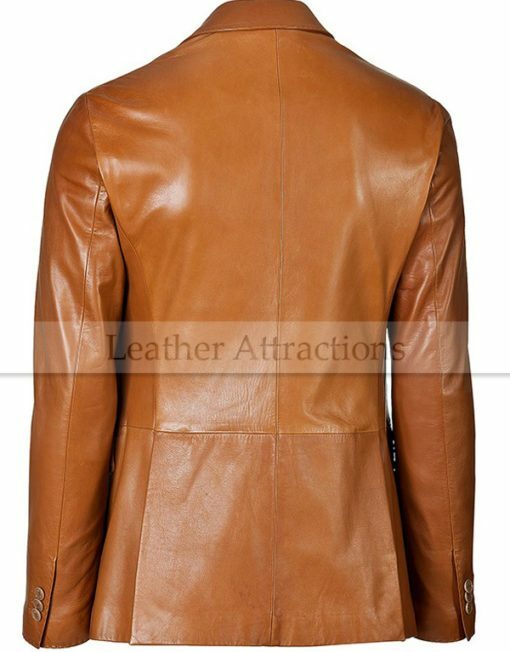 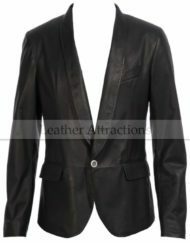 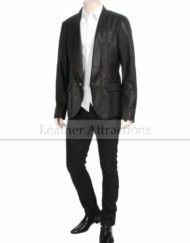 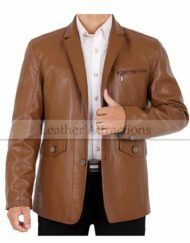 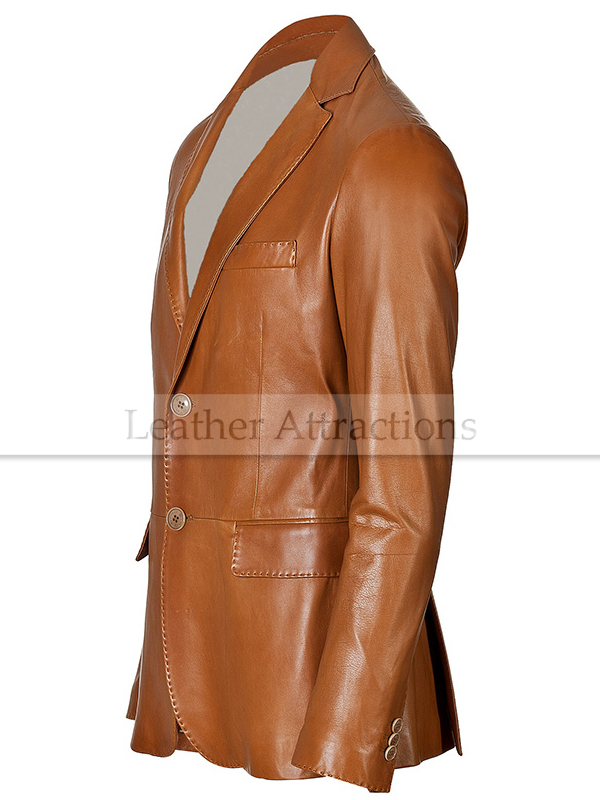 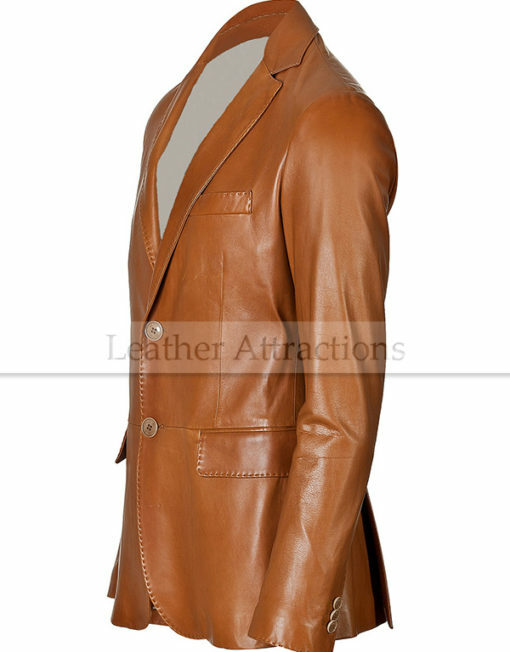 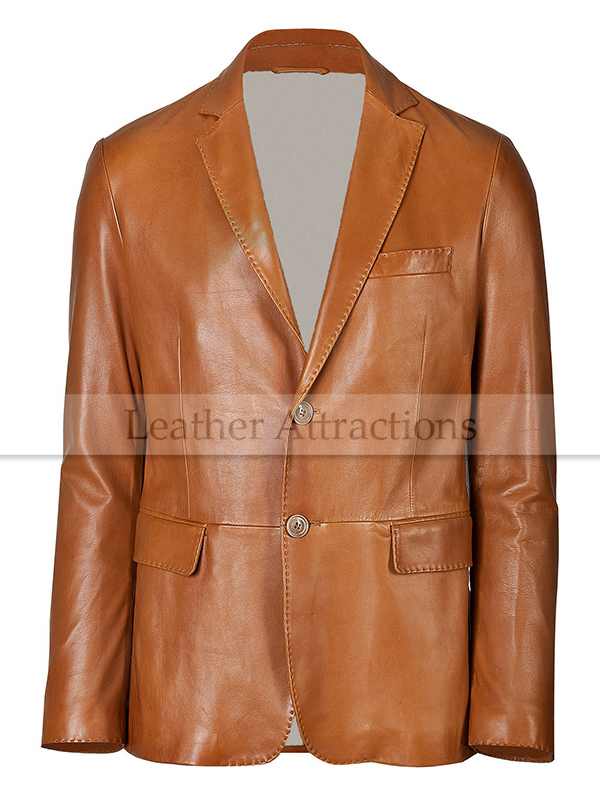 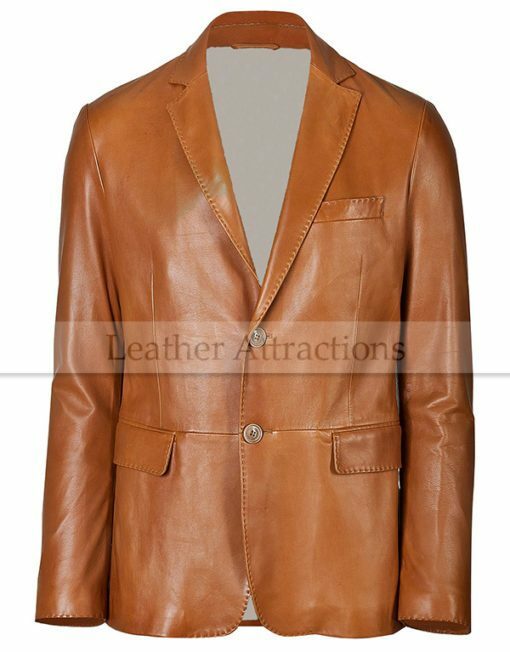 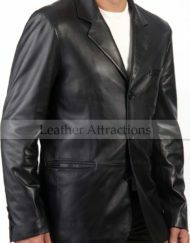 Category: Men's Leather Blazer.Tag: Tan Leather Blazer.